Now, while I don’t normally listen to books on CD or audio, I truly enjoyed listening to Calypso by David Sedaris, read by the author himself. And I must say that it was a lovely, riveting, and a hilarious ride….ride I say….. in that I only listened to the book on CD while I was riding around town or making my entire family listen to it when we took a short road trip over the Labor Day holiday weekend….and believe it or not, they actually listened, although they did let me know at times that the language was not appropriate for teenage ears….but whatever is all I have to say about that! As the video games I have seen them play are way worse than anything that could have ever been written in this novel. Sedaris’ prose is almost autobiographical writing mixed with what seems to be comedy bits that could have been written by his comedic actor sister Amy Sedaris. Calypso will keep the reader and/or listener engaged, entertained and especially amused in the comical sense and laughing in a very familial relatable scenes with parents, adolescence, and aging. 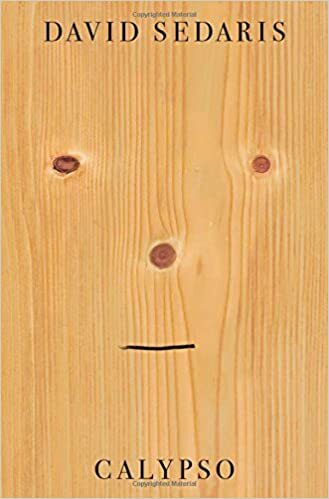 Check out Calypso David Sedaris’ latest book and you won’t be disappointed….instead it will leave you crying with laughter…at times. As someone who devours non-fiction, biography, and memoir, I was surprised to have finished this work of fiction in just shy of two days. To be fair, the book is a quick read (even for self-professed slower readers such as myself). 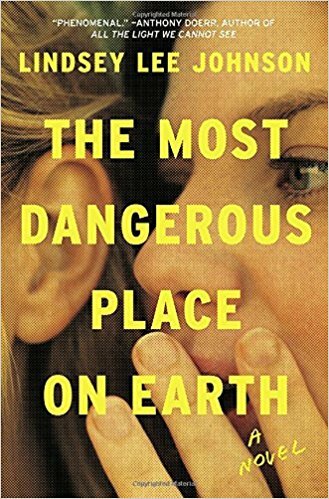 The Most Dangerous Place on Earth is the debut novel of Lindsey Lee Johnson with impeccable prose and superb character development. I could even see the book being turned into a film. In a nutshell, the book is broken into time periods: Eighth Grade, Junior Year, and Senior Year. Within those general time periods, each chapter is further subdivided with titles such as: The Note, The Lovers, The Striver, The Artist, The Dime, The Ride, The Dancer, The Pretty Boy, and The Sleeping Lady. Each chapter spotlights each of the core characters whose lives revolve around a tragic incident involving Tristan Bloch, an awkward but brave outcast with an overbearing mother. Over the course of four years, we follow each protagonist as s/he navigates the tough terrain of junior high and high school, further complicated by parents, teachers, and digital culture. In many cases, each of these young people–although living in million-dollar beach homes–is forced to establish his or her individuality and navigate adolescence while also living in the shadows of abuse, neglect, and addiction at the hands of the grown ups who are supposed to protect and guide them. As is the case with many young people, these characters can sense when things are awry at home and school; but they lack the agency to be able to articulate those experiences, sometimes in a healthy way. Always looming in this novel is what lies unspoken–what is between the lines. At the center of this story is Molly Nicholl, a newbie teacher and transplant from central California who is hired on in the English Department at Valley High in the affluent city of Mill Valley in Northern California, roughly a 6-hour drive from Los Angeles. As Molly begins to feel out the culture at Valley High, she finds herself at odds with the other seasoned faculty who are burnt-out on their jobs, presumably after many years teaching. As Molly reconfigures her classroom into two concentric circles (note, also, the circular themes throughout the novel) so as not to carry on her predecessor’s tradition of an authoritarian, old-school classroom, she endures pushback from teachers who believe she is crossing the line with regard to her relationship with the students. After a car crash and the exploitation of a female student on social media, Molly is questioned about the inappropriate nature of her commenting on her student’s social media threads–even though her comments stemmed from genuine concern about the well-being of her students . Early on in the book, Molly is eager to dig deeper into the lives of her students–to see them not merely as students but also as human beings who have complex lives and much promise. Molly once asks “Isn’t it our job as teachers to help our students?” She was quickly put in her place when her co-worker says: “No, your job is to teach.” But what does it mean “to teach”? What does teaching–truly teaching–entail? I think my teacher and parent friends would enjoy this book, especially because it sheds light on a number of questions–namely: What is the role of the teacher? How can teachers truly effect change and the lives of their students if they are forced to keep students at arm’s length? Can teachers truly be effective if they relate to their students on only the most basic, superficial levels? Is it the role of teachers to dig beneath the surface to enable students to identify and pursue their interests? Are teachers supposed to protect and help their students? How can parents and teachers be better aligned for the benefit of the student? Must there always be such a deep and wide chasm between young people and adults–one in which “adultness” itself is often dishonest, distrustful, and cynical? I have to say that by the end of the book–and yes, it’s just the idealist in me–I feel like Molly compromised too many of her ideals in an effort to play it safe. I mean, on one hand, I can certainly see why she would opt to play it safe, given the events leading up to her transition from newbie mover-and-shaker to cautious, jaded professional. In one particular scene, Molly receives an essay from Callista who has accepted and processed, through the therapeutic act of writing, her role in the tragedy of Tristan Bloch. This was the moment that Molly had been waiting for the past three years: to play an encouraging and inspiring role in helping students reconcile their places in the world and hopefully help them tap into their potential. I mean, here was Callista sharing a deeply painful experience with her teacher and in a sense, looking for encouragement and validation. But Molly, perhaps afraid to assume a role other than “superior” or “teacher” misses the opportunity entirely. Instead, she writes Callista a typical response that an English teacher–not a mentor–would write. However, the implications of Callista’s writing–how she knew the fine details of the path Tristan took to the bridge–were curious, troubling. Again, the power of the unspoken demands attention. This books asks far more questions than it answers; so if you’re ok with ambiguity, you’ll love this book. I’m still wondering about these characters–what becomes of them, if they ever get to realize their true potential. Reading this book also forced me to look back on my own experiences in junior high and high school, which, like most young people, was a mixed bag of good, bad, and ugly. When I was young, I did not have vast social networks at my fingertips and cyber bullying wasn’t yet a thing. So much happens to young people online–entire worlds exist out of the reach of unwitting adults. While I tended to despise the parental and authoritarian figures in this book, I was nonetheless sickened by how these students treated each other. But unfortunately, I also got the sense that Emma, Damon, Callista, Ryan, Elisabeth, Nick, and others were just on their own, abandoned even. I certainly found fault with the parents: what is the role of the parent in providing guidance and support to their children? How can effective parenting provide a more equitable, just world? In essence, how can effective parenting be the anti-thesis to bullying, suicide, sexism, and abuse? How should parents be meaningfully involved in the lives of their children without being overbearing and suffocating? These are just some of many, many questions I have after finishing this fantastic debut by Lindsey Lee Johnson, which has drawn some comparisons to Thirteen Reasons Why. Concussion, starring Will Smith, is based on the true story of American immigrant Dr. Bennet Omalu, a forensic neuropathologist, who is known for looking deeply into the autopsies he performs to learn more about why people died. Dr. Omalu wades through this dramatic thriller by making waves in the scientific community by discovering a brain injury that has the power to topple the NFL. Running side-by-side with Omalu’s story is the story of several different NFL players experiencing trouble after their careers have ended. They display erratic behavior, aren’t themselves, and the people that they turn to for help seemingly have no idea what to do. When a pro football player shows up dead and Omalu has to do the autopsy, he discovers trauma that will change the NFL forever. Dr. Omalu made the first discovery of CTE, chronic traumatic encephalopathy, a progressive degenerative disease found in people who have a history of repetitive brain damage. 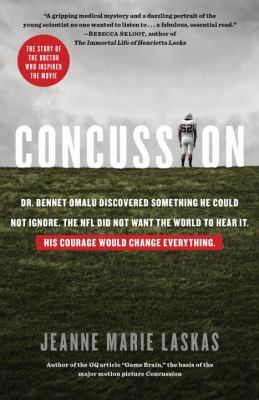 After paying for tests out of his own pocket for various football players, Omalu discovers that this traumatic brain injury is something that more football players will suffer from and that they should all be made aware of CTE. After publishing a paper with his findings, Omalu begins fighting for the concussion truth to be heard. He finds major pushback from both the NFL and the public with threatening phone calls to his house, visits from the FBI, and other doctors dismissing his findings among just some of the threats. The National Football League works to quiet Omalu’s findings, something that he simply cannot allow. This movie follows Omalu’s journey to make the NFL acknowledge CTE and the incredible uphill battle he faces to make the public believe his findings. 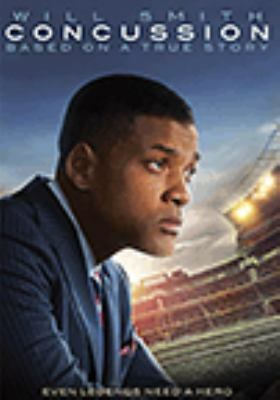 This movie is based on a book Concussion by Jeanne Marie Laskas. 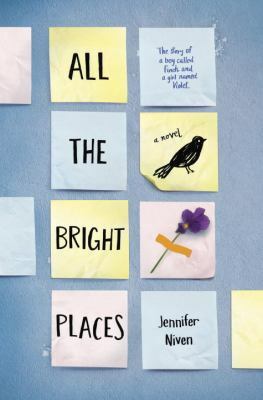 All the Bright Places by Jennifer Niven handles difficult topics for teens, from emotional problems and mental illness to death and suicide, but in such a way that everything is written eloquently and seriously, showing the consequences of all actions, no matter how big or small. Niven’s characters are beautifully written. The story really captures the heartbreaking yearning for everything to end up alright by showcasing a compelling search for hope when all seems lost. All the Bright Places is told from the points of view of two high school students, Theodore Finch and Violet Markey. Theodore and Violet meet on the ledge of the bell tower at their school. Finch is fascinated with death, chronicling ways to kill himself. Something good stops him from hurting himself every time. Violet has a countdown until graduation, when she can finally leave Indiana and start a new life away from the aftermath of her older sister’s death. That first meeting is the start of a very unlikely relationship between the freak, outcast boy, Finch, and the popular, yet damaged girl, Violet. 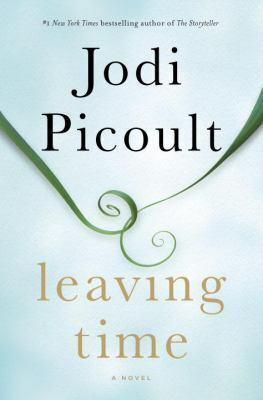 This book weaves an exhilarating and charming, yet simultaneously heartbreaking, love story between the two that immediately draws you in. When Violet and Finch then pair up on a class project to discover the natural wonders of their state, they learn more about each other than they initially thought. Death-fascinated Finch and future-focused Violet find hope and help by working with each other. Their lives will be forever changed. This book is also available as an audiobook. If you use RiverShare OverDrive, our e-book and audiobook service, you can check out All the Bright Places as an e-book, as well as an audiobook. Orphan Black is an action thriller television series that debuted in 2013 on BBC America. The fourth season is set to begin in April 2016. 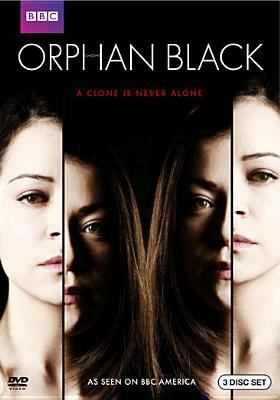 Orphan Black begins by introducing viewers to Sarah Manning, a woman back in the states and on the run from an abusive relationship who is trying to get in contact with her young daughter whom she hasn’t seen in over 10 months. She’s getting ready to take the train when she sees a woman commit suicide right in front of her. Interesting twist: this woman looks exactly like Sarah. She decides to assume the dead woman’s identity and lets herself into the woman’s apartment. Everything seems to be working out perfectly when she realizes the woman has $75,000 in the bank. She decides to drain the woman’s bank account and then skip town with her daughter and her foster brother. Her plans are cut short when unfinished business from both the dead woman’s past and her own past come barreling into her life, leading Sarah down a deadly trail of thrilling mystery that all lead her to the stunning conclusion: she is a clone, there are more of her out there, and that someone is trying to kill all of them. Sarah has no choice but to continue to live a double life as herself and the dead woman, as she meets other clones and realizes that they are all entangled in a complicated plot as genetically identical individuals who all grew up in very different circumstances. Highlighted by a tour de force performance by Tatiana Maslany (she plays all of the clones, giving each of them distinct personalities, speech patterns and behaviors), this is compulsive television viewing. 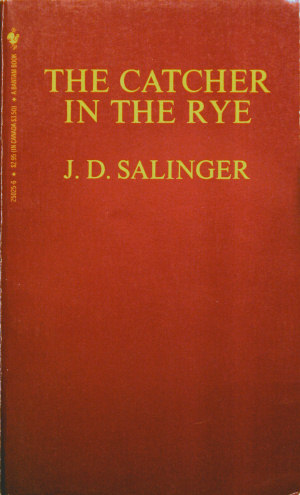 Catcher in the Rye was a pivotal book for me. It was one of the first books that I read that seemed to speak the Truth… about phoniness and superficiality and adult hypocrisy. As a preteen, I didn’t probe into the actual copyright date; I thought it had just been written about my generation – actually about ME specifically. Up until that point, I’d mostly read series like Trixie Beldon and Nancy Drew, both admirable but neither of whom were very introspective. I remember sprawling on my bed for an entire Sunday afternoon – not being able to put the book down, yet not wanting to let my new soulmate, Holden Caulfield, out of my life, either. I couldn’t wait to read South of Broad — Pat Conroy hasn’t written a novel in 14 years — though he did write a memoir (My Losing Season) and a cookbook. I was also curious about the Charleston, South Carolina connection. In Charleston, south of Broad Street (S.O.B.) is teasingly differentiated from slightly north of Broad (SNOB) in reference to the upscale residents there. None of the reviewers seemed to catch this obvious pun. At any rate, I do have to agree with reviewer Chris Bohjalian, who stated, “Even though I felt stage-managed by Conroy’s heavy hand, I still turned the pages with relish.” That’s how I felt, too. 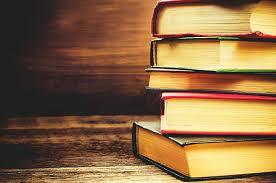 The book definitely kept my interest but there were details that irritated me. I questioned the likelihood of all those high school sweethearts actually marrying. I was kept worrying about his brother’s suicide until the very end. I found some of the dialogue forced. Still — I’d rather have you form your own opinion, so here’s a short synopsis of the plot. The book begins in the summer of 1969, just as the main character (Leopold Bloom King — yes, named after the character in Joyce’s Ulysses) is about to enter his senior year in high school. After a miserable childhood, marked primarily by the unexpected suicide of his golden-boy brother, Leo becomes friends with an unlikely group which includes orphans, blacks, members of the socially elite and charismatic twins, Trevor and Sheba Poe. Fast forward twenty years — Sheba is now a famous movie star and Trevor is wasting away with AIDS. Sheba recruits this same group — still best friends — to find Trevor in San Francisco and bring him back home to Charleston. In my opinion, this is not Conroy’s best work, but it’s one that many will still enjoy reading.